My Journey to Fit: Lynx Sports Bra Review! Love how pretty the back of this bra looks! This is the Cross Back style. If it seems like I'm always in search of the perfect sports bra, you would be correct - I am. 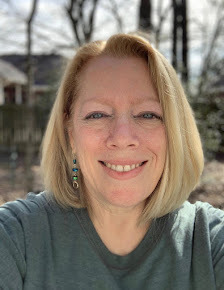 Even when I'm fairly satisfied with what I'm currently wearing, I'm always intrigued whenever I hear about something new, and when I read about Lynx Sportswear in Darlene's blog, I had to check it out. And being a blogger, of course I asked for one to review. Lynx generously sent me a Cross Back sports bra to try out - I've worn it several times now to run in, and I like it! While Lynx makes their sports bras in smaller sizes, they were designed by a larger-breasted athlete for those of us with an ample bustline. The bra is designed to support you from the sides of the bra, not the straps - and I have to say, I was pleasantly surprised to realize that this was true. No matter what the sports bra I've worn while running, I always have grooves on the tops of my shoulders from the straps afterward, and it's always a relief to get out of that bra. Not so with this one - it was really, really comfortable in the shoulder area! I truly didn't feel weighed down while wearing this bra, and I actually noticed how good I felt while running in it. I also didn't feel like I was bouncing around in the bra - again, a good thing. There is a lot of fabric on the sides and in the front, which gave me great coverage. The fabric is soft, but the body is 100% polyester, so there's not a lot of give...which is good when it comes to running and sports bras. Front - full coverage, as you can see. As with any pull-over sports bra, it's a little challenging to get out of, especially after a sweaty workout. And because it's a compression bra, I had a bit of the uniboob look happening. Still, I liked the bra and it's become part of my weekly rotation. Along with a good product, Lynx Sportswear has excellent customer service. Their sports bras come in lots of sizes, even expanded sizes for bust and/or ribcage. They will work with you to make sure you're getting the correct fit, which I really appreciated, because as we all know, it's hard enough to buy a bra when you're trying it on in a store. Gambling on one from an online retailer is a challenge, but they are really helpful with sizing tips and one-on-one interaction via email. The Cross Back sports bra retails for $60.00 and is made in the USA. Lynx Sportswear also makes a Racer Back sports bra, as well as other exercise clothing. Check them out! FCC Disclosure: I was not financially compensated for this post. I received a sample for review purposes. The opinions are completely my own based on my experience. Finding the perfect sports bra is as essential as the perfect shoes! I have heard good reviews of this brand! Heck yes - bras and shoes. Everything else is minor. Can I get one just because its pretty?! It comes in black and white, too - but I'll admit, I was swayed by the pretty pink! That is indeed a great looking bra! Unfortunately it looks like the kind I wouldn't be able to escape without ripping it off, but for more limber gals it looks like a winner! And so cool you approached them for a review and they gave you a chance to check it out! I find the trick to getting out of this style bra is to NOT PANIC. Because I've done just that, and once? I thought I was going to have to get the scissors (not this particular bra...this happened a few years ago).